Daily life activities continue to be uncovered at the Healing Site. 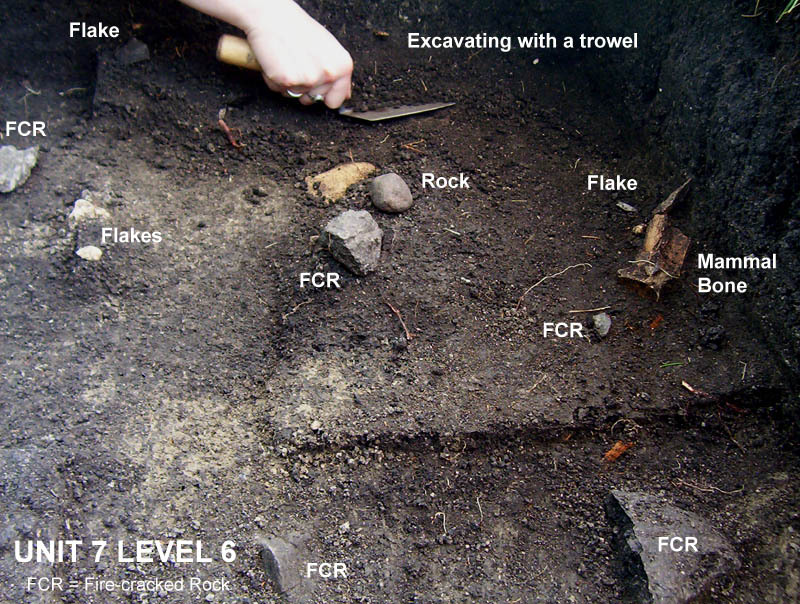 Today’s excavation revealed more evidence of food resources associated with campfires. 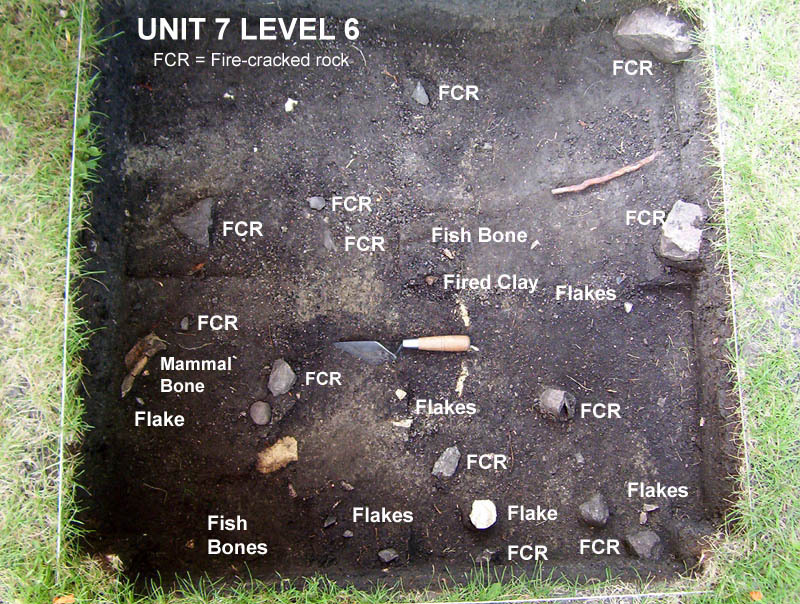 These included burned animal bones and hazelnut seeds, clam shells, and another area of the site with a concentration of fish remains. 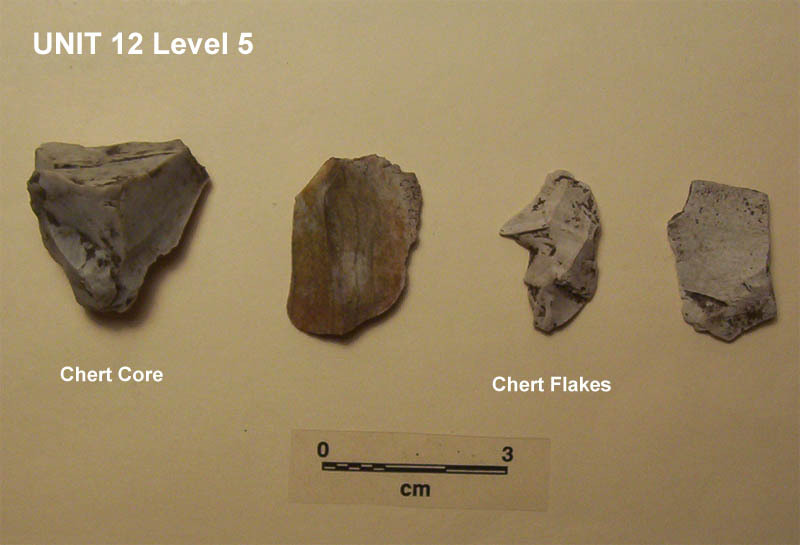 Stone tool manufacture was also a major activity in two different areas of the site as indicated by the presence of chert cores and numerous chert flakes in Units 7 and 12. 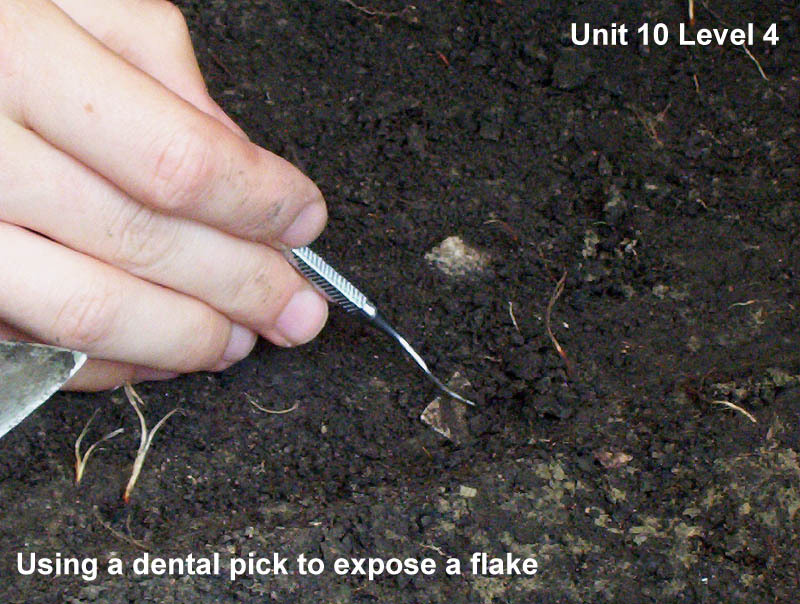 In addition, Knife River Flint flakes were found in three different units. The Knife River Flint quarries are located in present-day North Dakota.